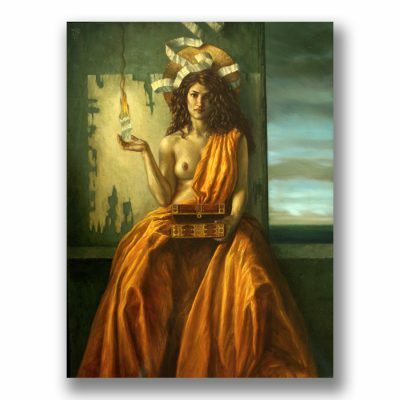 Libra is a signed and numbered limited edition print from an original painting by Jake Baddeley and is available in different sizes. It is printed on heavy quality 300 grams Hahnemuhle fine art paper and comes with a certificate of authenticity. The balance corresponds to an Egyptian deity Ma’at. In Egyptian myth the dead were judged by Anubis. He used a feather, which was the representation of Ma’at, the Goddess of truth and justice responsible for maintaining order in the universe. 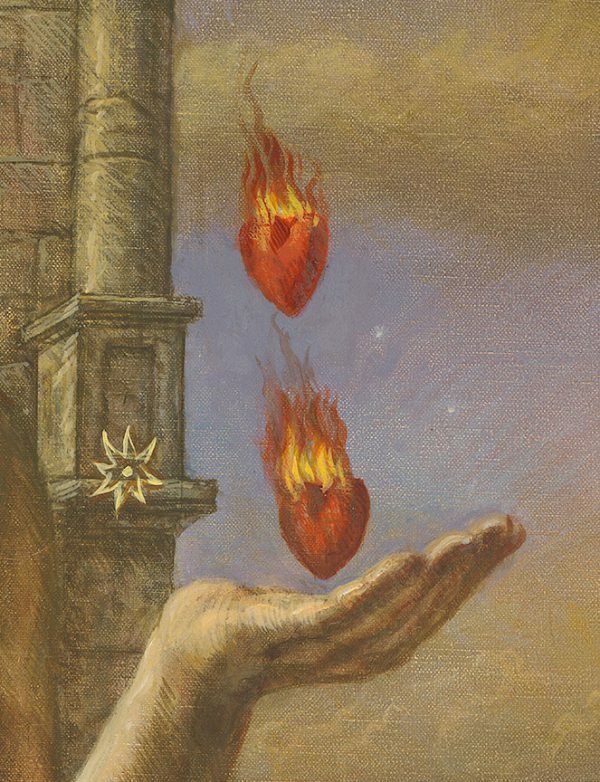 The heart was the seat of the life-spirit. Hearts heavier or lighter than the feather of Ma’at were rejected and eaten by Ammit, the Devourer of Souls. 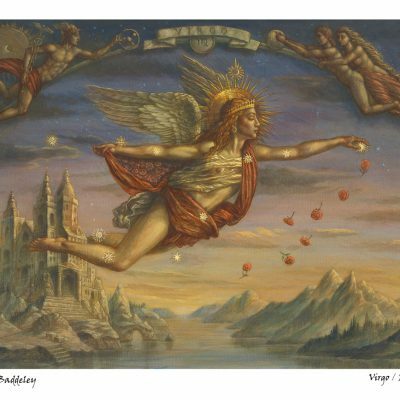 As it was known to the Babylonians as the scales – which were held sacred to the sun god Shamash, who was also the patron of truth and justice – we can assume that this tradition is very old. Today, we recognise this image as we use it to represent justice. The key traits for a Libra personality type is said to be the qualities of balance, harmony and diplomacy. The constellation itself is also in the shape of a pair of scales. 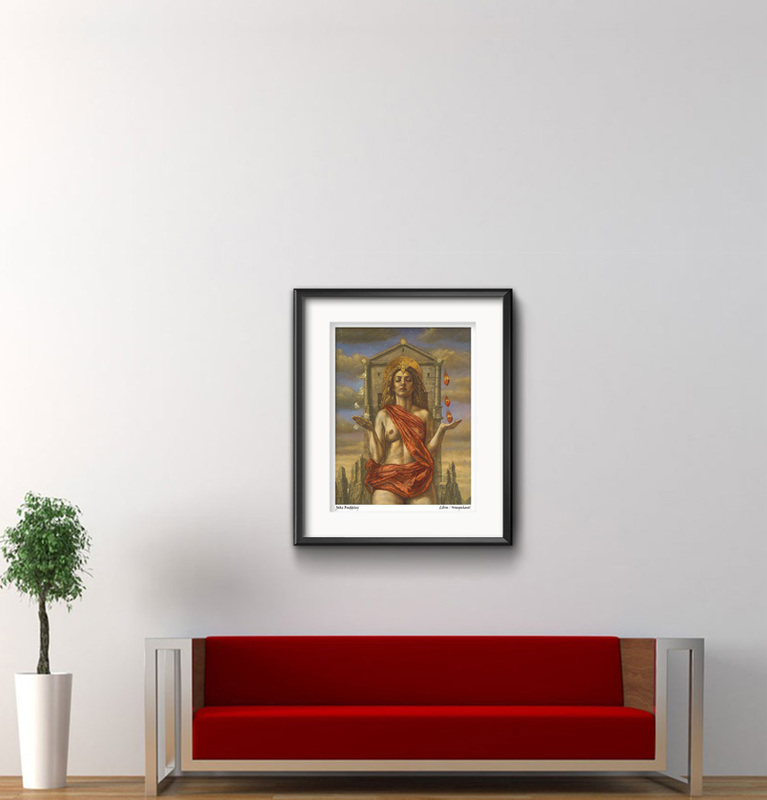 Libra is a limited edition “Giclée” print of the original painting, made with archival pigment inks on heavy stock, natural white (not bleached) fine art etching paper. 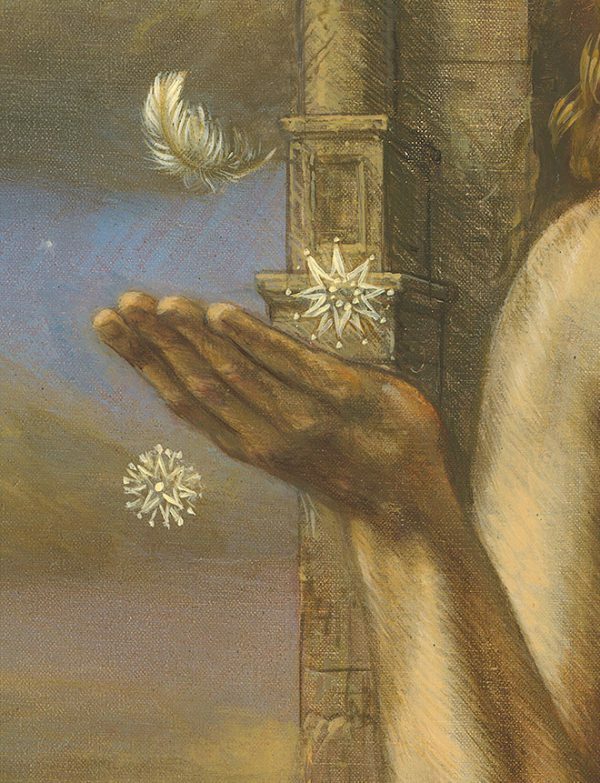 The matte etching paper nicely presents the brushstrokes and texture of the original painting. 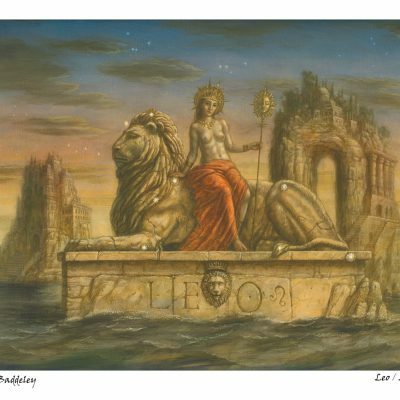 This is a signed and numbered limited edition print from the original painting Libra by Jake Baddeley and is available in different sizes. 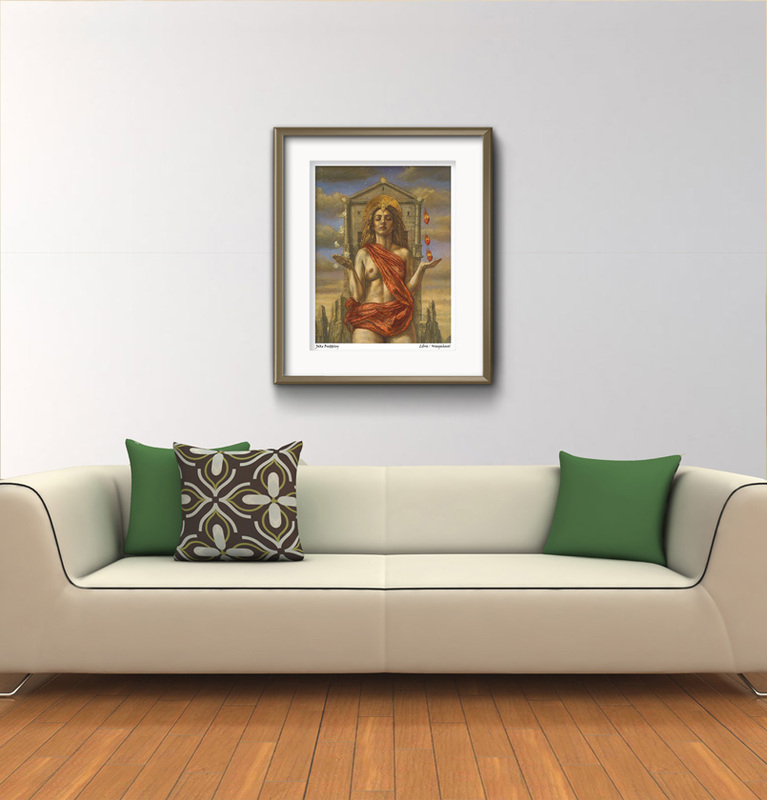 It is printed on heavy quality 300 grams Hahnemuhle fine art paper and comes with a certificate of authenticity. Both the print and the certificate are numbered and signed by the original artist. Furthermore, the Regular Edition comes with an embossed logo of the Master Printer (Re-art in The Netherlands). The print does not come framed, the frames on the pictures here are for presentation purposes only.